The University of California, Santa Cruz, has appointed Phillip Berman, professor and chair of biomolecular engineering, to the Jack Baskin Endowed Chair in Biomolecular Engineering. Berman is the first faculty member to hold the endowed chair, established in 2003 with a gift of $500,000 from philanthropist Jack Baskin, a UCSC Foundation trustee and longtime supporter of the Baskin School of Engineering. "The endowment from Jack Baskin provides a valuable source of support for the Department of Biomolecular Engineering, and I am honored to hold this endowed chair," Berman said. 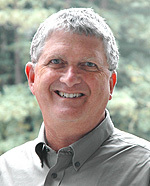 The engineering school established the Department of Biomolecular Engineering in 2004, and Berman was recruited to lead the new department in 2006. A pioneer in the development of recombinant vaccines for AIDS and other infectious diseases, Berman has nearly 25 years of experience in the biotechnology industry. His current interests include the development of vaccines, therapeutics, and diagnostics for the prevention and treatment of infectious diseases, as well as the development of new technology for commercial production of complex recombinant glycoproteins. Berman outlined several areas in which he plans to use the funding from the endowed chair. These include support for educational enrichment activities, such as outside speakers for lectures and seminars; the purchase of shared equipment for biological research laboratories; and support for student activities, such as travel to local professional meetings. The Biomolecular Engineering Department features an interdisciplinary blend of engineering, biology, chemistry, and statistics designed to foster collaboration with other departments. Members of the department are engaged in active collaborations with faculty in other departments within the engineering school and in the Division of Physical and Biological Sciences. The department offers degree programs in bioinformatics and biomolecular engineering. Berman said he is working to develop a strong curriculum to give students the best possible training for jobs in the biotechnology industry. He also noted that the convergence of different areas of research, from nanotechnology to genomics, in biomedical applications makes biomolecular engineering an especially exciting field. Berman earned his bachelor's degree in biology at UC Berkeley and his Ph.D. in biochemistry at Dartmouth Medical School. He spent 15 years at Genentech, where he led research on recombinant proteins, vaccine development, and monoclonal antibodies. In 1995, he cofounded VaxGen, where he served as senior vice president for research and development and oversaw efforts to develop an HIV vaccine. In 2004, Berman cofounded Global Solutions for Infectious Diseases, a nonprofit research organization dedicated to addressing infectious disease problems in the developing world.